For more than 160 years, KWS has stood for tradition, ground contact and successful plant breeding, but also for cosmopolitanism and international growth. In Klein Wanzleben, in the Magdeburger Börde, in 1856, farmer Matthias Christian Rabbethge laid the foundation for a family-owned company that is still closely linked to agriculture today. Farmer Matthias Christian Rabbethge recognises the potential of the beet sugar business early on. He founds KWS by acquiring a majority stake in the sugar refinery. With landlord family Giesecke, Matthias Christian Rabbethge brings well-capitalised partners into the company. Matthias Rabbethge Jr. is the first in Germany to start with the systematic breeding of sugarbeet and lays the foundation for the company’s success. The duo Rabbethge/Giesecke shaped KWS sustainably and successfully in the 1870s. Matthias Rabbethge Jr. focuses on beet breeding, Julius Giesecke on the agricultural landownership. The company enters a difficult era with the death of the two in 1885 and 1881, respectively. At KWS, botanist Dr. Ing. Wilhelm Raatz introduces scientific breeding standards. His systematisations for the evaluation of breeding material are groundbreaking and will soon be adopted by the whole industry. The sugar market is booming: The production facilities are growing and the KWS success curve is showing a steep upward trend. The first international location of KWS is inaugurated in the Ukraine, at the time the largest sugarbeet growing area in the world. KWS reacts to economic losses during the First World War and to the expropriation of the subsidiary in the Ukraine with a diversification of the seed business. At the beginning of the 1920s, the production of fodder beet begins, followed shortly afterwards by cereals and potatoes. The social achievements enforced in the Weimar Republic also benefit the over 2,000 workers and employees of the Kleinwanzleben sugar refinery. The company invests in new workers’ housing estates, civil servants’ houses and has a bath house, a doctor’s station and a play school built. While the mothers work on the trial fields, the children are housed in the company's own day care centres. Ernst Giesecke dies. For more than 40 years, he was co-responsible for business development as a member of the Executive Board. His son-in-law Karl Büchting replaces him in management, and in the following years he is responsible for the commercial-strategic line. During the time of the Nazi dictatorship, “eastern workers” are also forced to work at KWS. No compensation claims are made to the company. Nevertheless, KWS stands by its historical and moral responsibility and participates in the financing of the Foundation “Erinnerung, Verantwortung und Zukunft” [Remembrance, Responsibility and Future], founded in 2000. The Second World War is the biggest break in the history of the company. Klein Wanzleben is located in the Soviet occupation zone and thus the company loses its livelihood. In June 1945, the British military transported the families Rabbethge and Giesecke in a dramatic “cloak-and-dagger operation” with 60 tons of elite seed from Klein Wanzleben to Einbeck in Lower Saxony. Rabbethge and Giesecke Saatzucht GmbH, founded as a rescue company, receives new premises in Einbeck, which is still the headquarters of KWS today. Thanks to the leading sugarbeet variety “Kleinwanzlebener E”, the company is quickly back on track and starts reactivating its foreign relations. Potato growing is resumed in Einbeck. KWS expands its breeding programs with maize, oil and protein plants, including rapeseed and sunflowers. KWS establishes subsidiaries and associated companies in Europe and overseas and opens foreign branches, for example in Turkey and Chile. In the following decades, the company systematically expands its presence in the temperate climate zone. With the takeover of the largest German grain breeding company, KWS intensifies its activities in this area. KWS holds 50% of the newly founded company Betaseed. It breeds, produces and sells sugarbeet seed for the North American market. The use of biotechnological methods since the early 1970s represents a quantum leap for plant breeding. The first cell biology laboratory starts work. After 23 years as Chairman of the Management Board, Dr. Carl-Ernst Büchting joins the Supervisory Board, assuming the chairmanship. 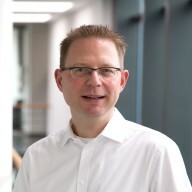 His son, Dr. Andreas J. Büchting, becomes his successor. KWS responds to the rapid progress in molecular biology in 1984 with the foundation of PLANTA Angewandte Pflanzengenetik und Biotechnologie. PLANTA is responsible for R&D projects in the company and provides services for all breeding activities of KWS. KWS acquires all shares in Betaseed Inc., USA. Today, with Betaseed, the company is No. 1 for sugarbeet seed in the US. After the political turn in 1990, the company returns to its place of origin. KWS invests around 10 million euros in a new breeding station in the old location. With the intensification of genetic research, a new chapter in the breeding history begins. It accelerates the breeding progress to produce new, improved varieties. The company is known as KWS SAAT AG. Success can be seeded – The “orange company” celebrates 150 years of KWS. The foreign share of sales is over 70 percent. With the Joint Ventures RIBER – KWS Sementes S.A. and KWS Melhoramento e Sementes Ltda., KWS enters the Brazilian seed business. KWS and the Chinese company Kengfeng found the joint venture KENGFENG - KWS SEEDS CO., LTD in the maize business. As a leading company in plant breeding, KWS SAAT SE operates in more than 70 countries worldwide with around 60 subsidiaries and associated companies.